It’s natural that if you want to play games online, or you want to place some bets, you go to a site such as minimumdeposit.com.ng, find some cool promotions to grab and then just have fun… Who thinks about doing it with cryptocurrencies? Well, a lot of people, apparently. At first glance, it would seem that there is absolutely no connection between these two concepts. However, is that really true? 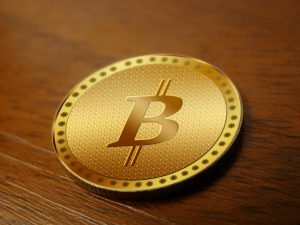 What is cryptocurrency, and what is its relationship, if any, with gaming? We are about to find out. Cryptocurrencies, BitCoin first and foremost, have been advertised as a decentralized currency, free from any bank, group, or nation. 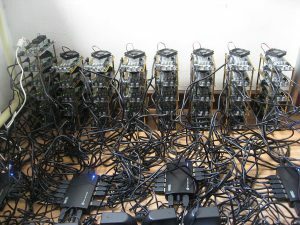 The farming of individual coins is a process for which computer power is needed. Every transaction made is encrypted and protected. 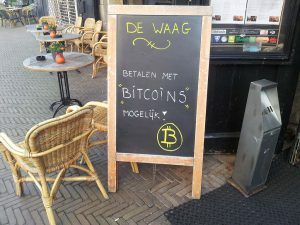 BitCoin, and its children like DogeCoin and LiteCoin, allowed people to pay for things anonymously. Since there is very little that can be done to influence it, many countries shy away from using this currency. But it’s not in pocket, or in your wallet. It’s in your computer. Think of it as virtual credit people accept as payment. We’ll come back to that later, and you’ll see what I’m getting at. A lot of games today have items that you can collect or buy. You don’t always use real money for that – there is an in-game currency, usually depicted as gold coins. The rarer the item, the more gold coins it will cost to collect. This items are, again, something you can’t touch. A way to get these coins, aside from buying them outright, is to spend hours upon hours killing weak creatures in dungeons, or completing stages and tasks in games. Sometimes the reward is big, sometimes it is small. Accruing this fortune and buying rare items became a matter of prestige. As Dylan Moran put it: “And they go ‘Dude, you’ve got more bips than me!’” (What It Is Tour). It wasn’t too long ago that Blizzard had to ban gold farming in WoW, since people would pay others to log into their account to earn in-game currency, upsetting the economic balance of the game. And Blizzard is not the only one – every company with an MMO game that has in-game currency will suspend, or even ban your account if you pay someone to get ahead. It is money you can’t touch. It can be traded, so it has worth. To obtain this currency, you need time and a computer. It is a type of money no government has control over. You can’t make a purchase without a positive balance. The lines are becoming even more blurred nowadays, as games are being developed that show you the principle of blockchain technology, like Worldopoly, or Spells of Genesis, in addition to those that accept BitCoin as payment. The world is changing, and the payment methods with it. We’ll just have to wait and see where it goes.